Enjoy the best inspirational, motivational, positive, funny and famous quotes by Alec Stewart. Use words and picture quotations to push forward and inspire you keep going in life! 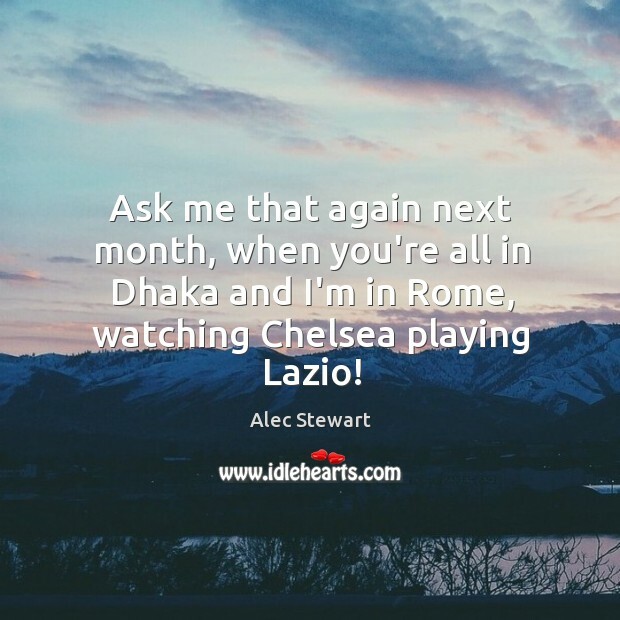 Ask me that again next month, when you're all in Dhaka and I'm in Rome, watching Chelsea playing Lazio!